Online reputation management has long been a topic of conversation and concern for business owners but TripAdvisor’s latest study shows just how quickly we’ve reached the tipping point. The 2018 study (launched in partnership with Ipsos MORI) asked travel business owners and operators in the U.S. and around the globe about the key industry trends that are top of mind for them this year. Respondents made clear the outsized importance of maintaining a positive online footprint and digitally engaging with their current and potential customers. 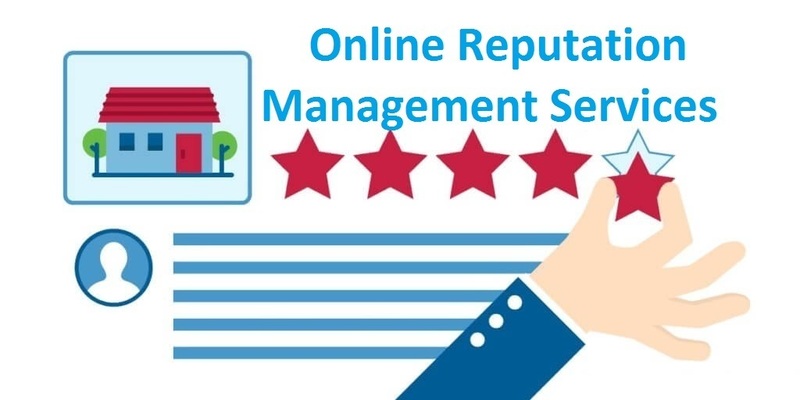 Of particular note, 97 percent said online reputation management is important to their business. The same was true of online reviews (98 percent) and social presence (92 percent). These trends are not unique to businesses in travel and hospitality. Buyers in all industries (including B2B customers) are using digital content and online search to make their purchasing decisions. Even startups seeking investment must worry about what investors find online. “What’s clear is that the overwhelming majority of owners and operators are concerned about their presence online and how they are using mobile and social platforms to attract the right consumers,” said Martin Verdon-Roe, vice president of business-to-business product of TripAdvisor, in the press release. This is probably a sign of the seismic shift undertaken by businesses to the online world and its ever-increasing importance is duly reflected. This is most likely why businesses now take software designed to improve the running and efficiency of their business so seriously. Innovations like intelligent automation have been a revelation. Business owners looking to take control of their online presence would be wise to put the following activities at the top of their list. What do customers find when they Google your company? Ideally, they are presented with a clean, impressive, up-to-date list of positive websites, news articles and online profiles. If not, that subpar first impression might be the reason you miss your next customer. In fact, businesses risk losing 22 percent of business when potential customers find one negative article on the first page of their search results. Three negative articles can cause that number to jump to 59.2 percent. As scary as that is, negative articles aren’t the only risk factor you ought to be worried about. For example, are there inconsistencies or confusing calls to action across your digital footprint? Are your web assets kept active and relevant or do they look like digital tombstones with cobwebs that need dusting? Do you have old tweets or images from jokes long forgotten that might be taken out of context? You can do much of this auditing manually, digging through search results, images, and old social media posts, or look to professional help for a serious deep dive. BrandYourself, an online reputation management firm based in New York, New York recently launched a new product offering that uses machine learning to scrape search results and social media posts to identify possible red flags. A combination of automatic and manual auditing is often the best choice. To continue the process, set up Google Alerts for your company’s name, key executives, and related industry terms. 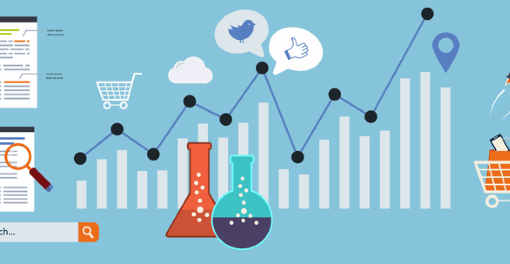 You can also use media monitoring tools like Mention or Cision for a more robust brand tracking system. Especially in the world of digital marketing, it is important to understand how this can be used to an advantage. Strategies such as GMB Optimization have been shown to be a massive help when it comes to managing an online business. It makes sense to use these tools, as it will benefit you and the future of your business. Review platforms come in all shapes and sizes, and they are important for different reasons. 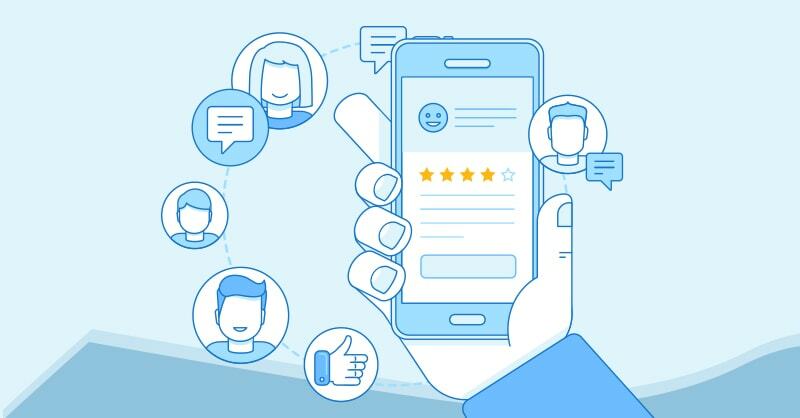 Employee-facing review platforms like Glassdoor and Indeed will impact your recruitment efforts while customer-facing platforms like Yelp and Google Maps are more likely to impact sales. There are also sector-specific platforms too. For those in the hospitality and travel industries, TripAdvisor is an obvious choice. Patients rate their doctors on HealthGrades while lawyers earn reviews on Avvo. 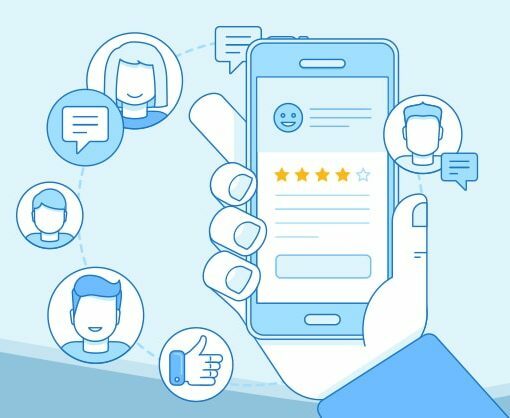 The benefits of an active and positive review profile are hard to overstate, and the reason is simple: 84 percent of people trust online reviews as much as a personal recommendation. Unfortunately, self-motivated reviewers are more likely to be dissatisfied, leaving many businesses’ review pages with a misrepresentative collection of poor reviews. If that sounds like you, don’t panic. Defending against an inherent negative review bias is possible, though it does require patience and hard work. It boils down to proactively and consistently prompting employees and customers for reviews to showcase a more authentic representation of the company in the long term. But the very first step is incredibly simple: claiming your online listings. It’s the verification process by which you prove that you represent the business is question. 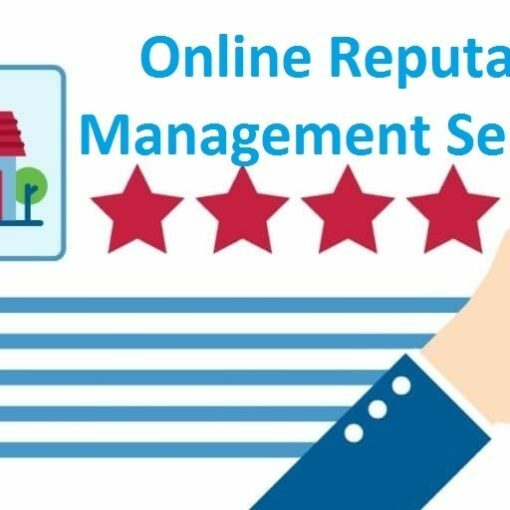 If you haven’t done that yet, you’re missing out on a valuable opportunity to showcase accurate business information, respond to online reviews, and ultimately control your online reputation. When decision makers were asked why they selected a particular vendor, 75 percent said the winning vendor’s content had a significant impact on their buying decisions. Perhaps that’s not surprising, given that buyers in all industries are using digital content now to research and inform their purchasing decisions. Customers today actually progress more than 70 percent of the way through the decision-making process on their own before ever engaging a sales representative. Companies without a strong digital content strategy risk losing buyer awareness, and ultimately, sales opportunities. Customers will simply find answers to their questions elsewhere. There’s no one right way to produce digital content — some customers find more value in white papers and webinars while others prefer case studies and blog posts. Some brands entertain better while others focus on education. Test different styles, media, and formats and let the data be your guide as you refine the process. If you want to control the messaging that customers and potential employees receive, your social media tactics can’t be treated as an afterthought. Think of your social media profiles like the windows into your company’s operations. Inactive or nonexistent platforms are like boarded-up windows — they don’t show anything and are often a cause for concern. But a well-managed group of social media profiles showcases the very best your company has to offer. They highlight your company’s culture and personality, industry news and updates, and valuable company content. It also has the benefit of keeping you top of mind with customers who have shown enough interest to follow and engage with your channels. Of course, you can’t control messaging on a platform you don’t have access to. It’s a good idea to register your brand’s name on as many social media channels as possible. When today’s new, fringe platform becomes the next Facebook in two years, you’ll be thankful you reserved your brand’s name when you did. That doesn’t mean you need to be active across a hundred different channels. Take a similar approach to social media as you do with your content: try out the platforms your audience is most likely to care about, and refine the process as you go along. What do potential customers, investors, and employees all have in common? They are people, and people tend to care about the people behind the brand — not just the brand itself. Depending on the brand, the CEO and other key executives may get searched as much as the brand itself, if not more. And global executives estimate that 44 percent of a company’s market value is attributable to CEO reputation. That’s a lot to be riding on an executive’s image. Given the impact, it’s worth auditing your executives’ digital footprints from the perspective of your future business partners, employees, and customers. As you review, ask yourself: Who is running this company? Can I identify any external credibility? Why would I want to work with them? The extent to which you are able to answer these questions will inform what else needs to be done to improve their online presence. If search results only highlight previous jobs, you’ll want to produce content that ties them to their current position at your company. If there is a distinct lack of external credibility, bylines and mentions in third-party publications may be the way to go. For the behind-the-scenes executive, there’s a certain level of unease in focusing on personal branding. That’s normal; it can feel odd to put yourself out there. But remember that growth often requires a certain level of discomfort. Much like networking with colleagues, or holding meetings with key stakeholders, you have to do what’s best for the bottom line, even when it feels uncomfortable. That feeling of discomfort is actually a fairly common theme when it comes to managing a brand’s online reputation because there are always elements beyond one’s control. Negative reviews may be completely unfair, your search results can shift from week to week, and crises may pop up without a moment’s notice. The fact that a brand’s online reputation is never fully controllable is what makes it so valuable and trustworthy. It’s why 97 percent of business owners agree online reputation is a top priority today. Merely because some things remain out of our control does not mean everything is uncontrollable. Companies that use the tools at their disposal are the ones who will find their online reputation most accurately reflects the narrative they prefer.